Dr Waheed A Olagunju joined the Bank of Industry’s precursor institution the Nigerian Industrial Development Bank (NIDB) in 1990 as a Senior Manager and rose to the position of Executive Director  (Business Development) in 2012 during which he had responsibilities for Strategic Planning, New Business Development, External & Intergovernmental Relations, Legal Services, Corporate Secretariat and Corporate Communications. He acted as Managing Director & Chief Executive Officer between April and May 2014. He was subsequently reassigned as Executive Director, Small and Medium Enterprises (SMEs) in August 2014. 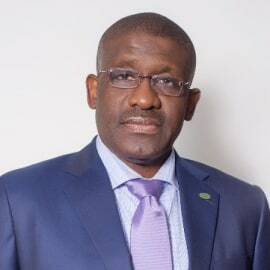 Under his leadership of the SME Directorate, the bank’s annual lending to SMEs rose phenomenally to N5.6 billion in 2015 which represented 205% increase over the average annual lending of N1.8 billion to SMEs in previous years.